Ron Kolek (aka New England's own VanHelsing) has touched the lives of countless people with over 15 years of lectures, presentations and events. He uses his unique personality and perspective to make sense of the fascinating topic of the paranormal. His multi-media presentations are both informative and entertaining. Although serious in what he does, he is not afraid to inject a little humor into the subject. After all, Ron has been quoted as saying "we are looking for invisible people in the dark!" New! 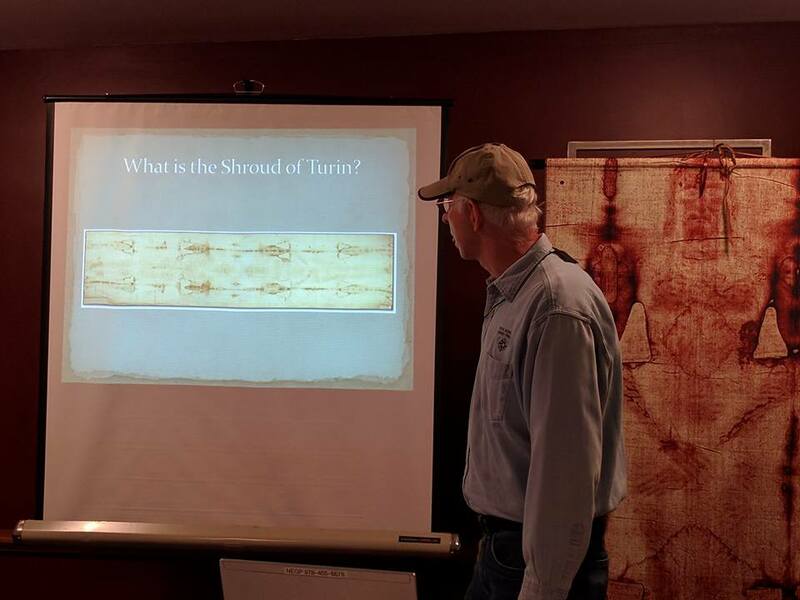 Shroud of Turin and Spear of Destiny - Myth Mystery or Miracle - In this presentation Ron delves into two of the most mysterious and controversial religious relics, the reported burial cloth of Christ and the spear which pierced his side. The presentation includes a life size replica or both the Shroud of Turin and the Spear of Destiny. Our Haunted Planet - Based on Ron's book Ghost a Day, this presentation takes you on a journey through the years and around the world to some of the strangest haunted places. History of Ghost Hunting - From the first recorded ghost hunters to today's modern paranormal investigators. We travel though time as we look into the dark and mysterious world of the ghost hunter. Speaking with the Dead - In this presentation we look a various methods of spirit communication, including the equipment, and methods both spiritual and scientific. Includes demonstrations and audience participation. Ghost Ships and Haunted Lighthouses - Throughout history there have been reports of ghost ships and haunted lighthouse. Ron discusses some of the most unusual and interesting cases, including some of the local lighthouses he has investigated and the evidence collected. Want a different presentation? Contact Ron and he will design one especially for you! 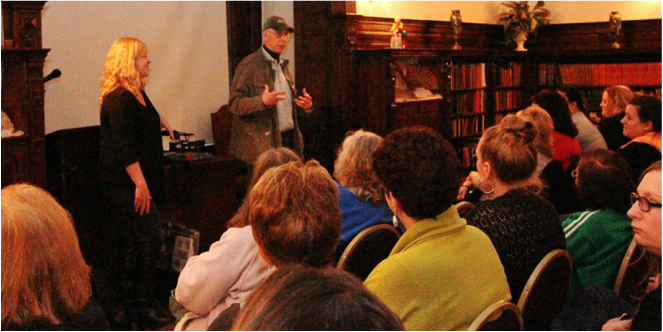 To book a lecture, presentation or paranormal event, please email Ron at ronk@neghostproject.com or call: 1-978-455-6678. All events Ron appears at receives promotion on his radio shows, website and social media pages. 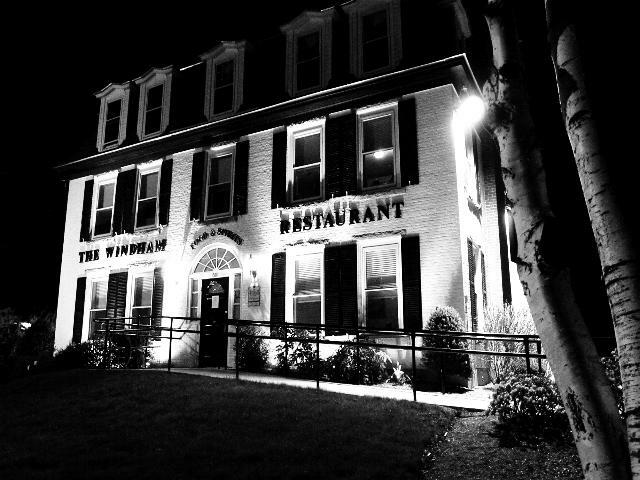 Bring your special group to The Windham Restaurant in Windham, New Hampshire for a supernatural event. For one low price you will enjoy a delicious meal and a paranormal presentation. You can select from four different entrees and one of the presentations listed on this page (or the house presentation: The Windham Restaurant - Food and Spirits) all for one special price. Contact Ron for more information: 978-455-6678.